ARE YOU LOOKING FOR PROFESSIONAL SEPTIC SYSTEM EXPERTS? RIVERSIDE COUNTY DEPARTMENT OF ENVIRONMENTAL HEALTH RECOMMENDS CLEANING AND PUMPING YOUR SEPTIC TANK EVERY 3 TO 5 YEARS. AVOID CATASTROPHE & DIGGING UP YOUR BACKYARD! Are you looking for professional septic system services? Wright Septic has expert technicians that are the trusted and reliable local experts when it comes to septic systems. Not only have our professional technicians served satisfied clients for over 55 years, we are also well versed in all residential and commercial septic systems. By using superior quality septic advice and problem diagnosis, Wright Septic can do it all. Our septic experts are carefully trained in a variety of septic system services and solutions. 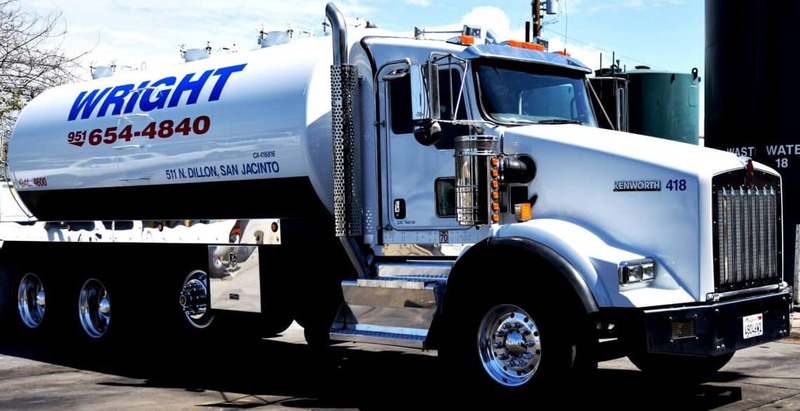 Wrights’s professionals are licensed C42 and C36 contractors and provide services such as septic tank pumping, septic repairs and maintenance, perc tests, hydro-jetting, camera inspections, electronic tank locating, and much more! Our experts have the experience, knowledge, and dedication to do any project no matter how big or small. Wright Septic is fully licensed and insured with septic system experts providing the best quality service for all septic issues. In order to have your residential septic system running at its best, it is important to maintain your septic system for optimal function and possible prevention of any future problems that may go wrong. As a result our trained professionals use only the newest, high-tech septic pumping equipment that can help combat any septic issue or problem. With all of our top-of-the-line equipment, you know you can trust our septic experts with all your residential septic pumping and repairs. AND INSTALLATION FOR RESIDENTIAL SYSTEMS. The Wright team has the right knowledge and experience needed to properly install your residential septic tanks. Our professionals are able to install a new leach line or a completely new septic system. 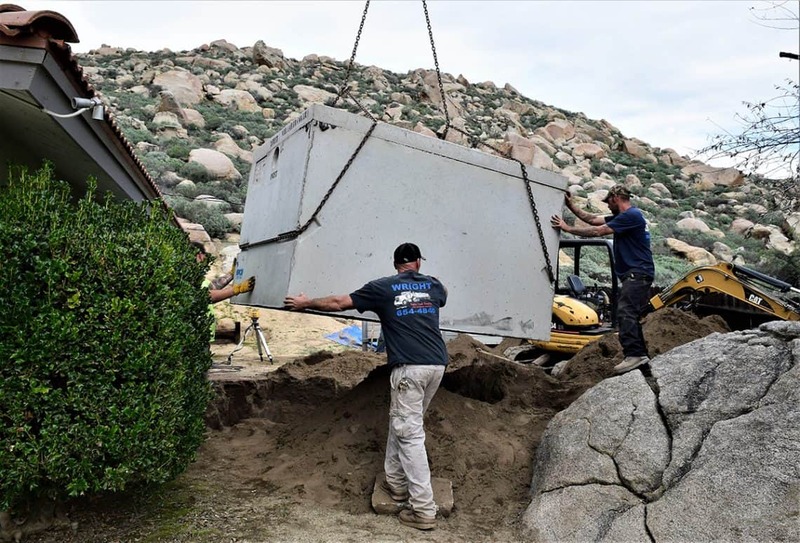 The Wright team is the experienced and trusted local experts at new septic system installation, as well as upgrading or repairing existing systems for residential customers. Our professionals to trouble-shoot your system and can inform you of the necessary repairs. In order to pump residential septic tanks, our company utilizes the newest high-tech septic pumping equipment in the industry to bring our customers the best quality of work. Can’t find your residential septic tank buried under all that dirt? 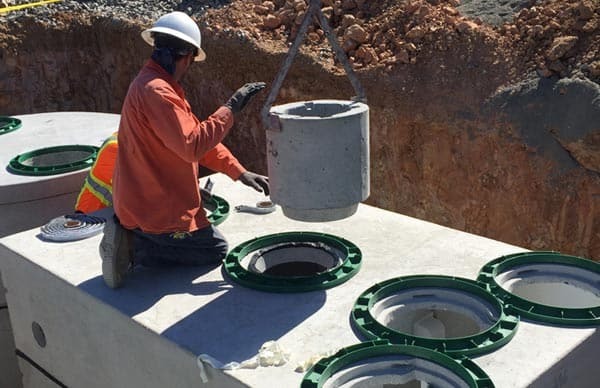 Wright Septic can provide residential septic tank locating services. We have the latest technology to find your residential septic tank by using our electronic locating devices that can detect cast-iron and PVC pipes that can detect cast-iron and PVC pipes. We are a licensed sanitation system C42 and C36 contractor and as a result we are able provide top septic tank services for homes. After fully inspecting your septic system, we will provide you with a C42 and C36 certificate if all requirements are met. Wright Septic experts are trained in a wide range of commercial septic system services. With this in mind, our highly trained technicians can find a solution for all your commercial septic problems. From commercial septic tank installations and repairs to hydro-jet cleaning, our dedicated professionals can do it all. More importantly, Wright Septic septic experts only use the latest high-tech equipment to provide our customers the highest quality service. OUR PROFESSIONAL SEPTIC SERVICE COMPANY PROVIDES INSTALLATION, REPAIRS, CLEANING, AND PUMPING FOR COMMERCIAL SEPTIC SYSTEMS. THE COMMERCIAL SEPTIC SERVICES WE PROVIDE INCLUDE THE FOLLOWING LISTED BELOW. Our professionals are the experienced and trusted local experts for new commercial septic system installation. Our highly-skilled team has the right to trouble-shoot your commercial septic system and can inform you of the necessary repairs. We utilize the latest high-tech septic pumping equipment in the industry to commercial septic tank pumping experience. If you cannot find your commercial septic tank buried under the many layers of dirt, our septic experts can electronically locate it. We offer the current state-of-the-art video camera equipment to look at your commercial septic system and locate any issues. CALL OUR SEPTIC EXPERTS TODAY!